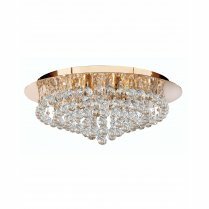 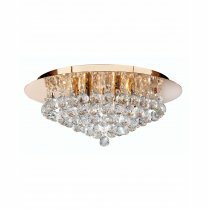 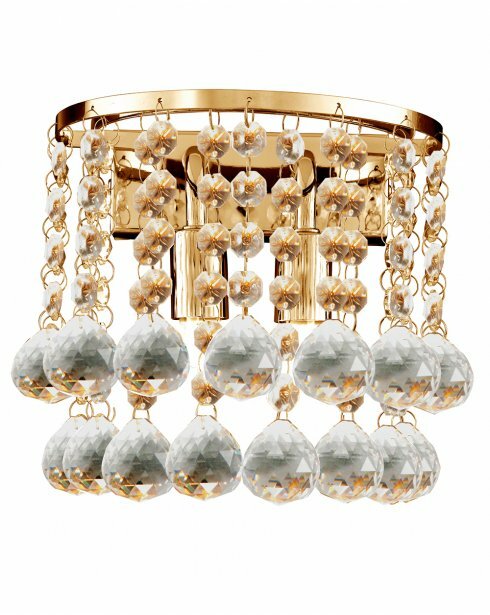 Searchlight's Hanna Wall Light has a semi-circular polished gold effect decorated with a cascading display of crystal balls & chains. 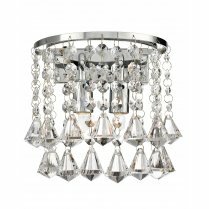 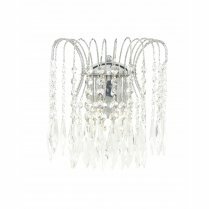 The Hanna will be a wonderful sparkling additional light source for any modern lounge, dining room or bedroom, as the light refracts through the crystal chains from each light. 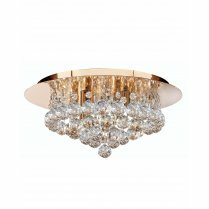 To view the full range of Hanna flush and semi-flush fittings and wall lights in chrome and polished gold, simply type 'Hanna' into the search box above. 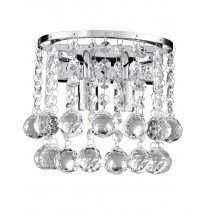 Requires 2 x 33W G9 bulbs or equivalent low energy G9 LED's.